Editor’s Note: Betty Bigombe, Ugandan cabinet minister, member of Parliament, and longtime advocate for survivors of the LRA, shares her Enough Moment. In 2004, Betty Bigombe was a consultant with the World Bank, working on development in African countries, when she started a journey to rejoin the fight for peace in her native Uganda. She remembers having her own Enough Moment after seeing a television broadcast that reported that an LRA massacre in Uganda had left 259 people dead. 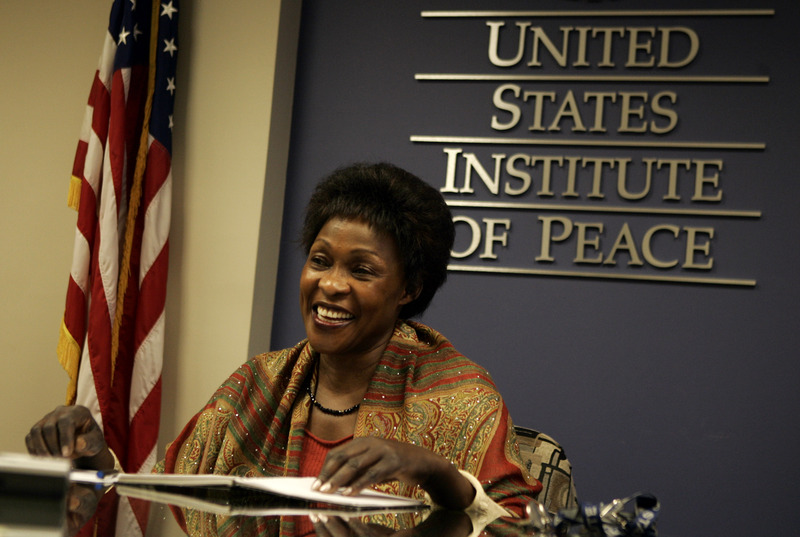 Bigombe worked tirelessly for the next eighteen months as the chief mediator between the government of Uganda and the LRA, this time as an impartial broker rather than a government minister, a post she had held twenty years before during her first efforts at bringing an end to the LRA insurgency. She arranged the first ever face-to-face meeting between the Ugandan government and LRA. She then helped create a multipronged peace effort that included traditional leaders, women, youth, and the international community in a dramatic push to end the twenty-year-old war. This initiative helped lay the foundation for the peace talks between the government and the LRA held in Juba, southern Sudan, that resulted in a final proposed deal that LRA leader Joseph Kony ultimately decided not to sign. Although no peace was forged, the international community united around the understanding that military operations would have to be undertaken to stop the LRA, since Kony clearly had no interest in peace. Bigombe has the true craft of a peacemaker, trying to walk in each side’s shoes and base negotiations on this thorough, deeper understanding. She continues to work on issues of mediation, peace building, transitional justice, and the empowerment of youth in northern Uganda, and she has provided support to the Juba peace talks. In addition, she works with international donors and local NGOs to equip the people of northern Uganda with tools for achieving sustainable peace. Check out a recent Enough Project interview with Betty Bigombe for 2012 International Women's Day.